Pakistan’s largest bike manufacturer and seller company Honda despite increasing the prices of its bikes twice this year is facing a surge in the sales. As per recent data, the company has sold 115,161 units in the month of April 2018. 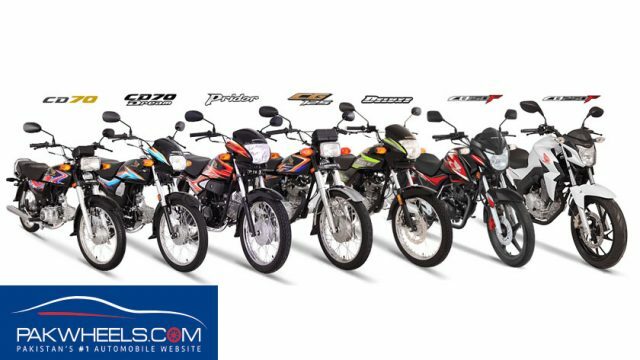 This is for the first time that the company has sold this many bikes. Moreover, it is be noted here that the current year so far has proved great for the company as it sold over 0.1 million units three times (Jan’18, Feb’18, and Apr’18), which is unprecedented in company’s history. In January this year, the company sold 100,011 units and in March 108,736 bike units. At the start of this month, Atlas Honda posted its profit for the year that ended on 31st March 2018, and according to the data, not only the profit but the sales of the company has gone up. The profit of the company in the said period was up by 24.27% and sales by 20.05% compared to the same period of the preceding year. Due to a surge in sales and rising buying power of the people, Honda has decided to increase its production capacity up to 1.5 million units per year. The company will be spending a hefty amount of $ 15 million in this regard. Moving onward, the Atlas Honda Pakistan has launched a new 250cc bike in Pakistan, the 2018 Honda CB 250F. The new bike is priced at PKR 640,000. That’s it from our side, stay tuned to PakWheel to read more about latest automobile happenings. Are Pakistani cars as fast as their Japanese siblings?